Conserves the scent and flavour of the majestic Jack Diesel. It will be a regular in your Express cultivation thanks to its prime quality. The result of a careful cross between an automatic Diesel and the majestic Jack Diesel, creating an innovative effect within the automatic plants. The resulting hybrid is a spectacular plant, ready in 70 days after germination. 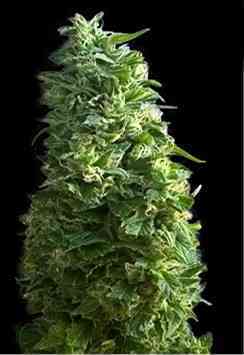 Its growth is vigorous, robust and branched, in a pyramid shape, which is typical of Sativas. The buds are full of resin and release an intense aroma that is a mixture of Diesel and Haze. The principal advice for cultivation is to allow the plant to mature fully, given it’s of Sativa descent. The size of the container must also be taken into account, as it demands a high quantity of nutrients and space for its roots. It has an optimal resistance to fungi. Aroma: A pleasant mixture of incense and fruits, with acidic, metallic and citrus based touches. Effect: Typical of the Haze and Diesel varieties subtle yet alert.